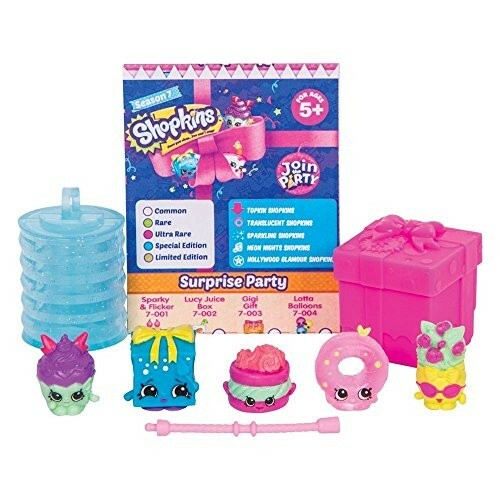 Shopkins Season 7 brings all new Party themed Shopkins to collect, including all new topkins that can be stacked together to create a tower of cakes, a head-to-toe outfit, and more! 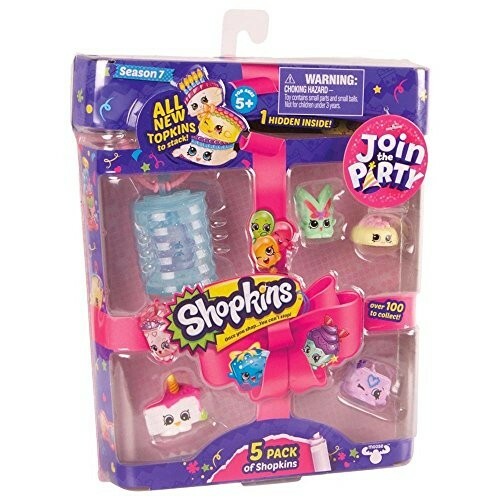 Each pack includes 5 Shopkins and 1 glittery lantern to hang and display your collection Look out for the Limited Edition Hollywood Party Shopkins! This product is listed on amazon using an ASIN of #B01N0D401L	with an original MSRP	of $5.99	. Product prices and availability are accurate as of April 7, 2019 and are subject to change. Any price and availability information displayed on Amazon at the time of purchase will apply to the purchase of this product. Certain content that appears above comes from Amazon Services LLC. This Content is provided 'AS IS' and is subject to change or removal at any time.